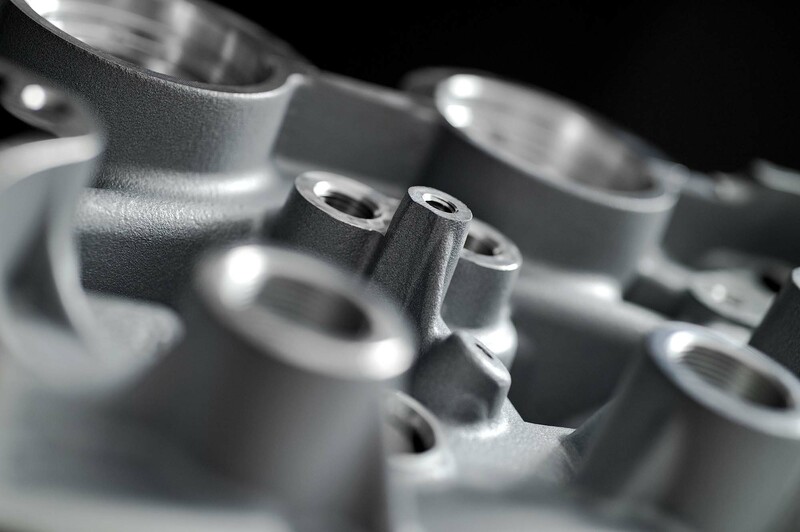 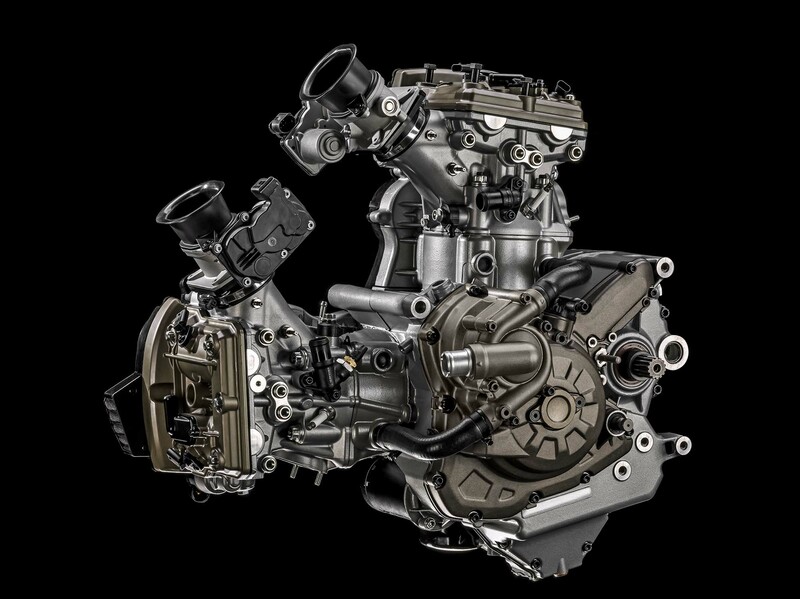 As was teased, Ducati is unveiling its “DVT” technology today, which stands for Desmodromic Variable Timing, and to showcase that technology (borrowed from Volkswagen), Ducati has produced the first motorcycle engine with variable valve timing on both the intake and exhaust camshafts. 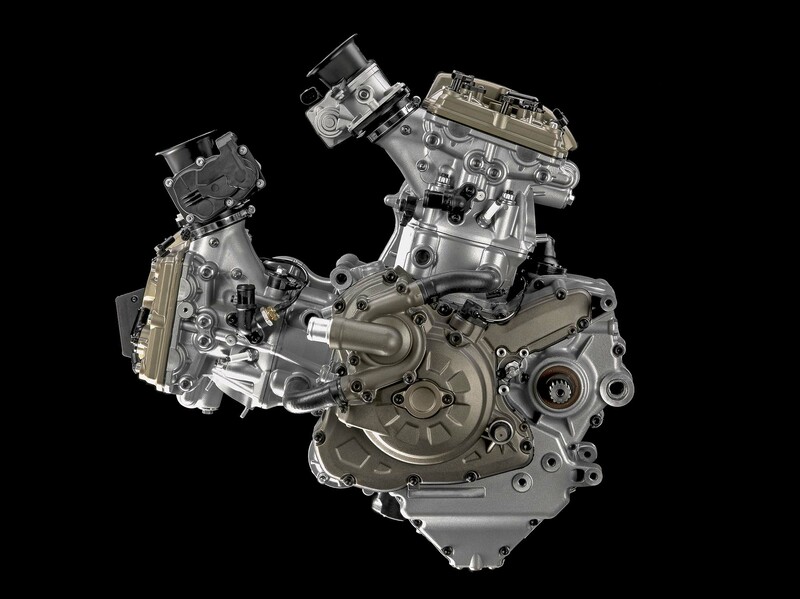 Adapted to the now-called Ducati Testastretta DVT engine, which we reported will debut first on the new Ducati Multistrada for 2015, Ducati’s new v-twin powerplant can change the intake and exhaust timing independently, and throughout the rev range. 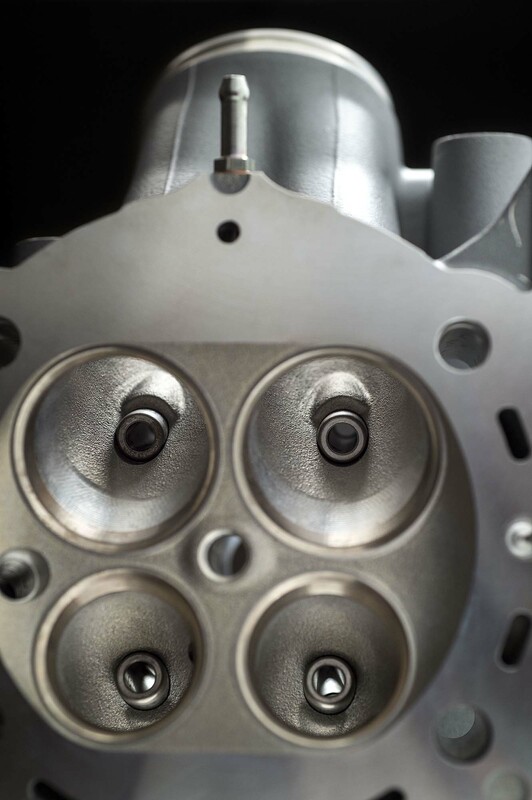 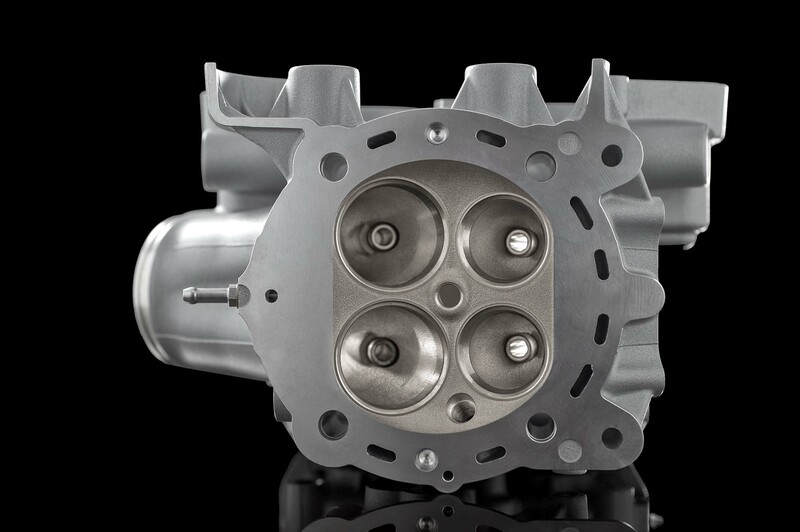 This means that the Ducati Testastretta DVT engine can be optimized for peak power at high rpms, while maintaing rideability and smoothness at lower rpms — not to mention keeping with emission and noise regulations throughout the rev range. 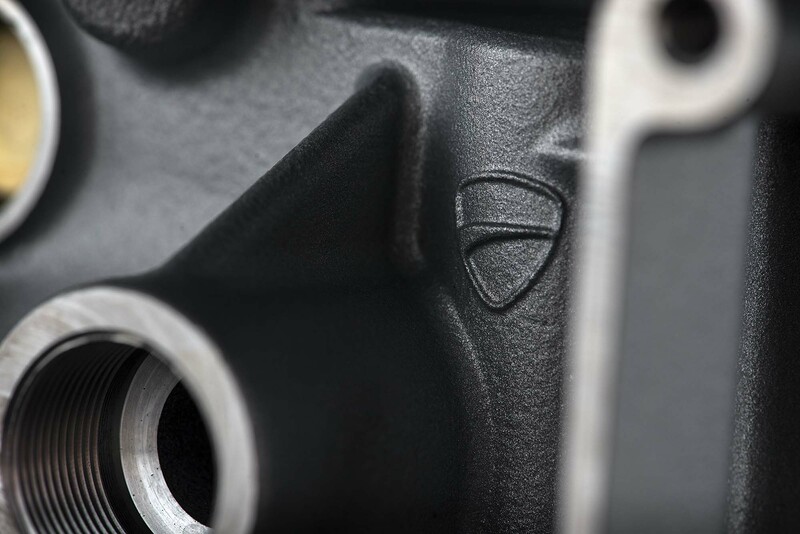 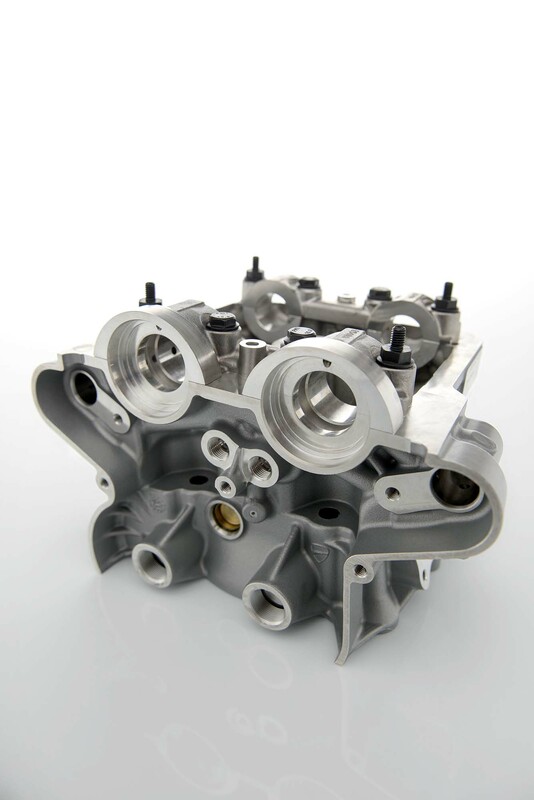 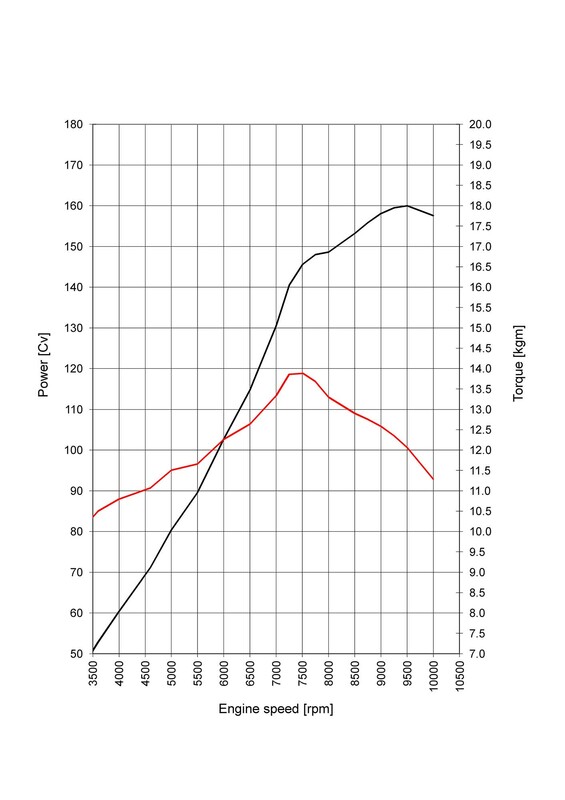 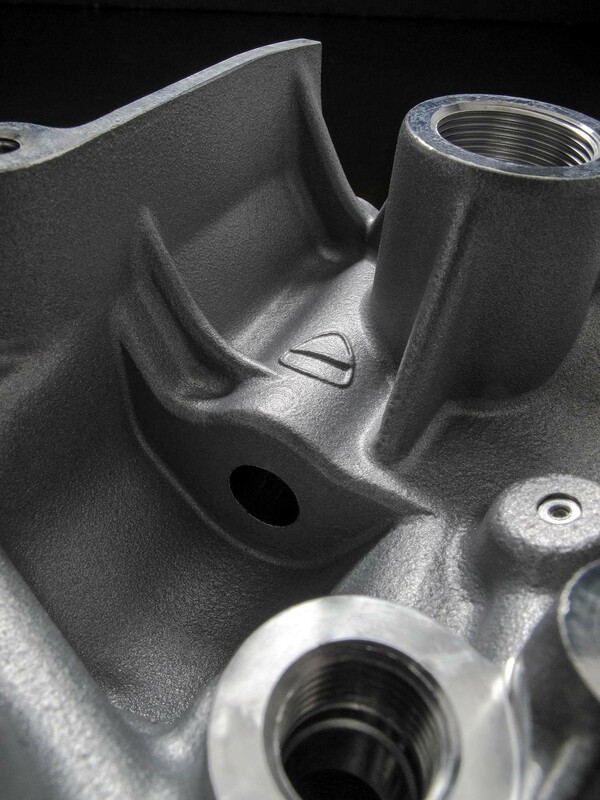 Unlike the previous generation Ducati Testastretta 11º DS engine, the Testastretta DVT has no fixed valve overlap angle (the 11º value on the previous generation motor). 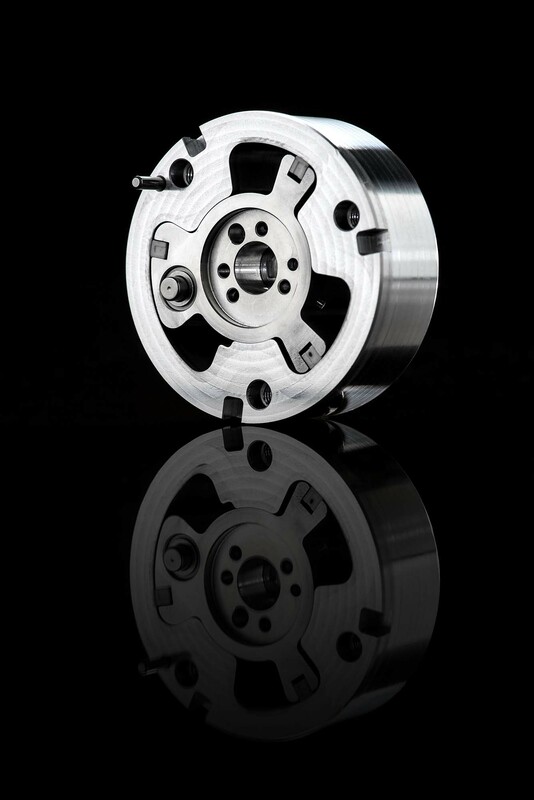 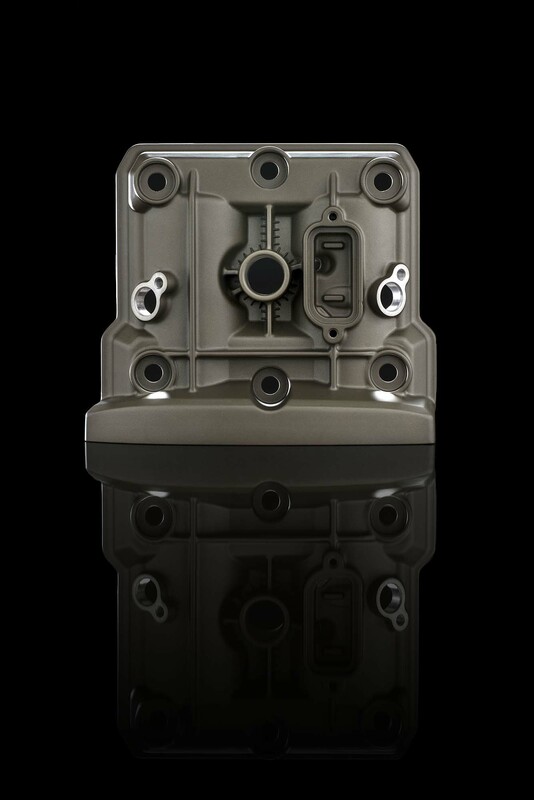 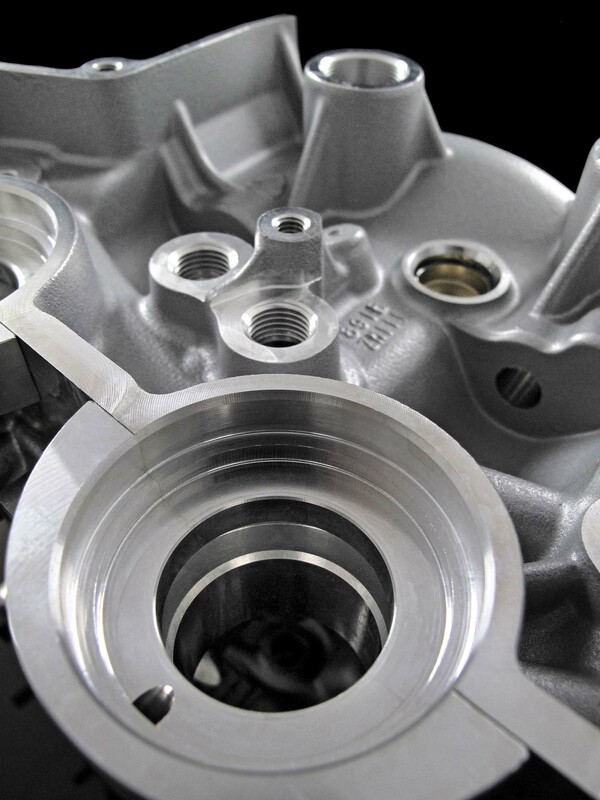 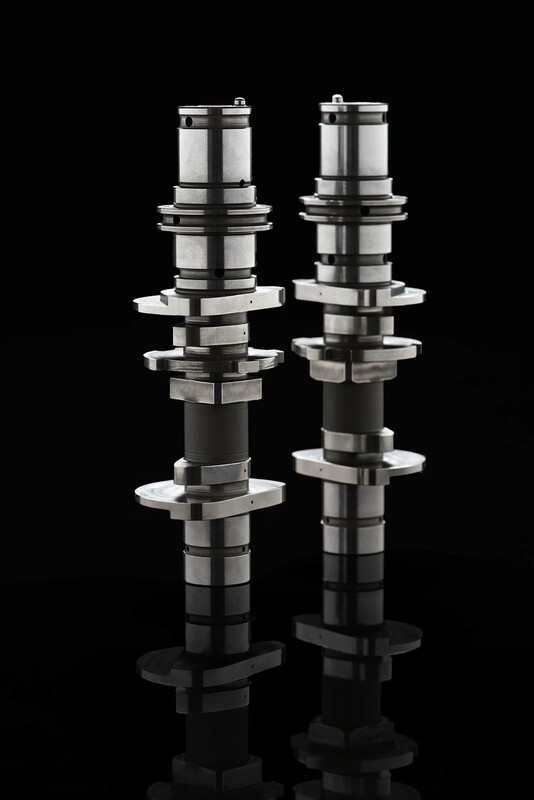 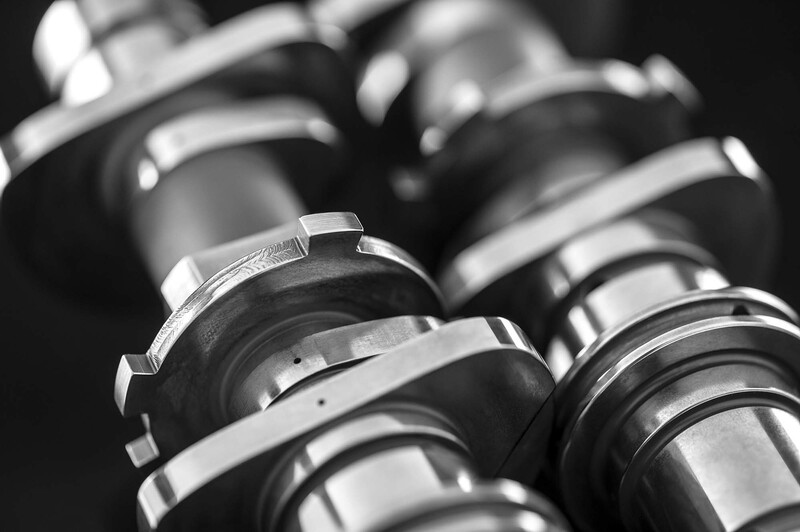 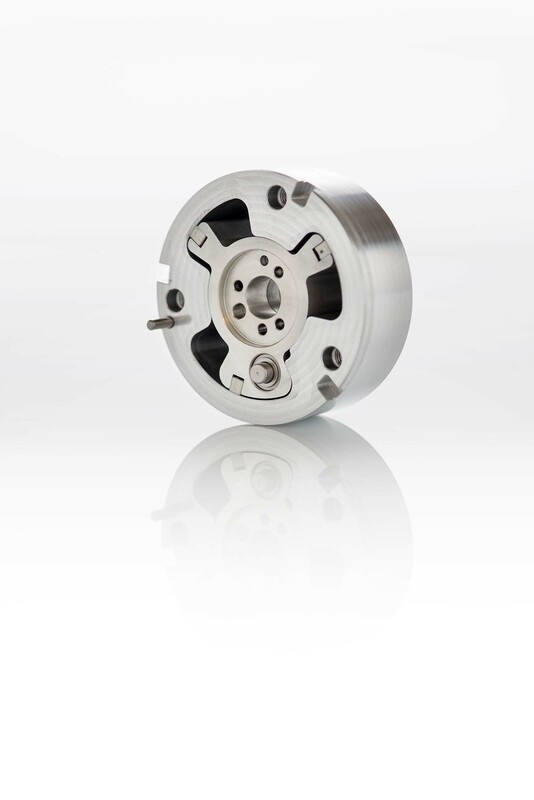 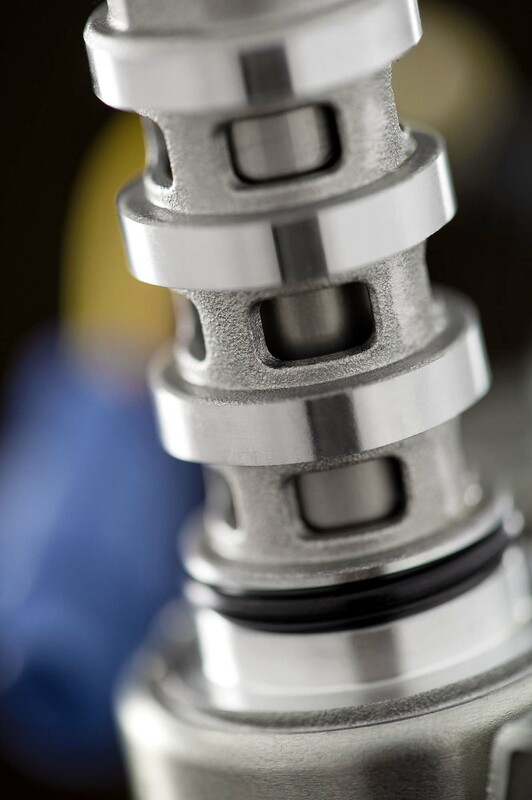 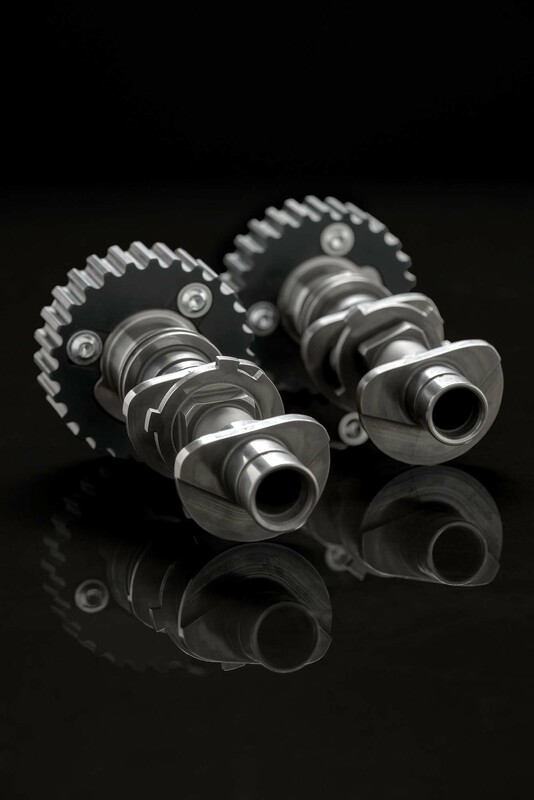 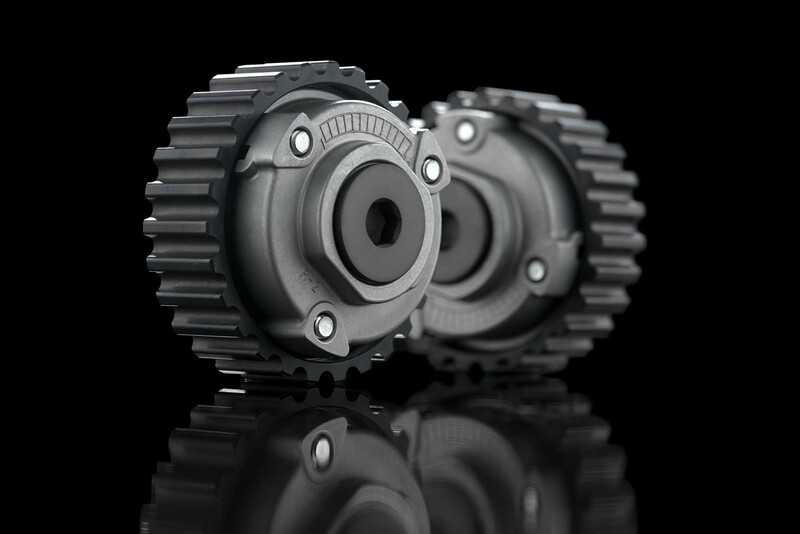 A valve timing adjuster, fitted to the end of each camshaft, instead changes that overlap angle on the fly, depending on the conditions, revs, and throttle parameters. 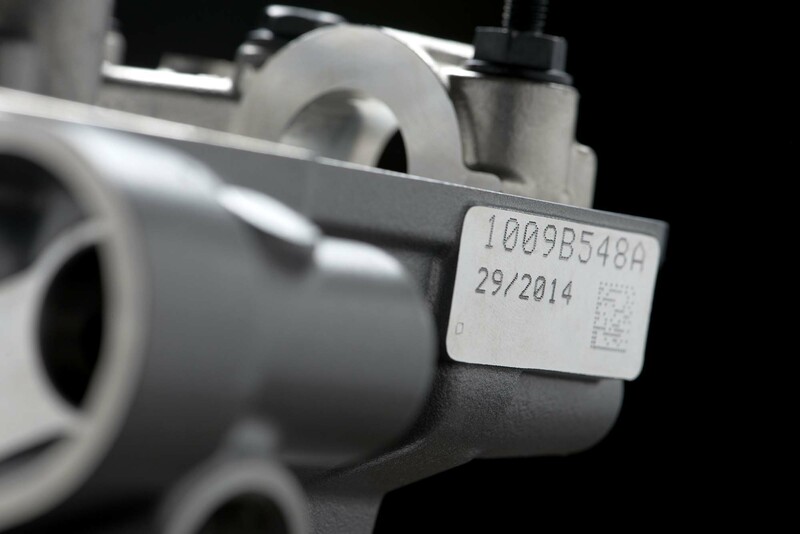 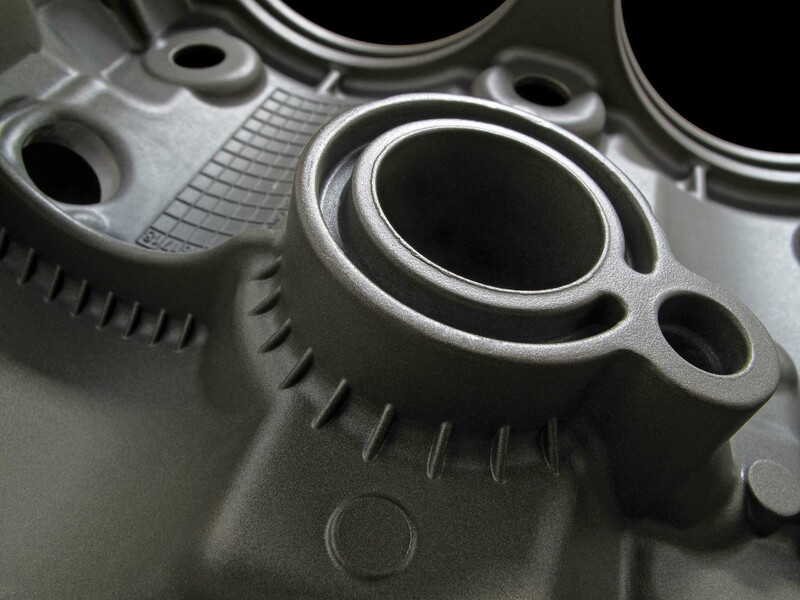 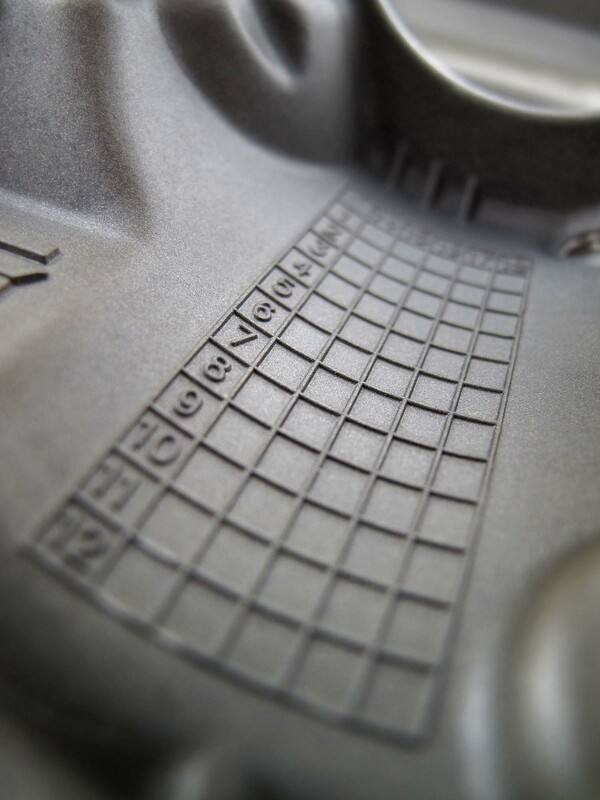 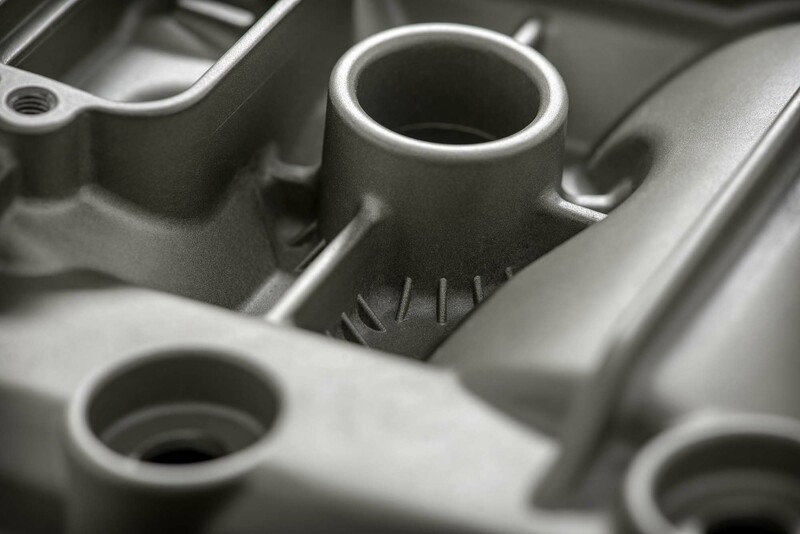 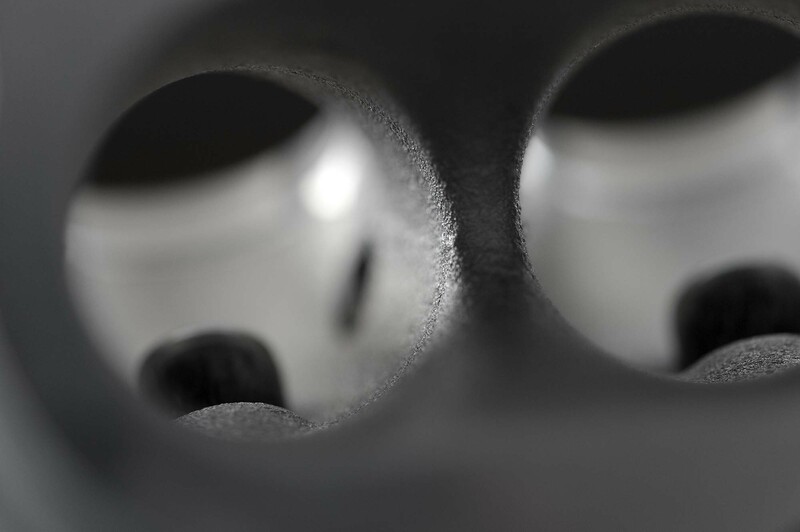 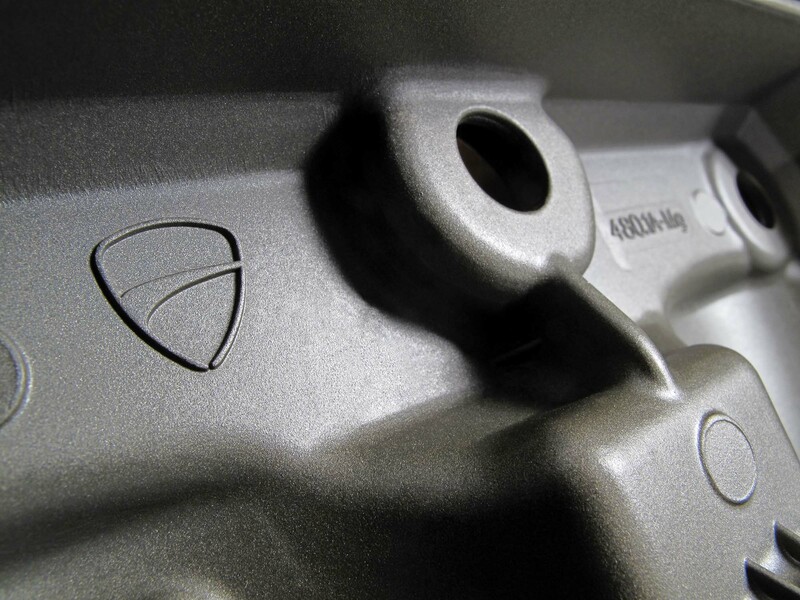 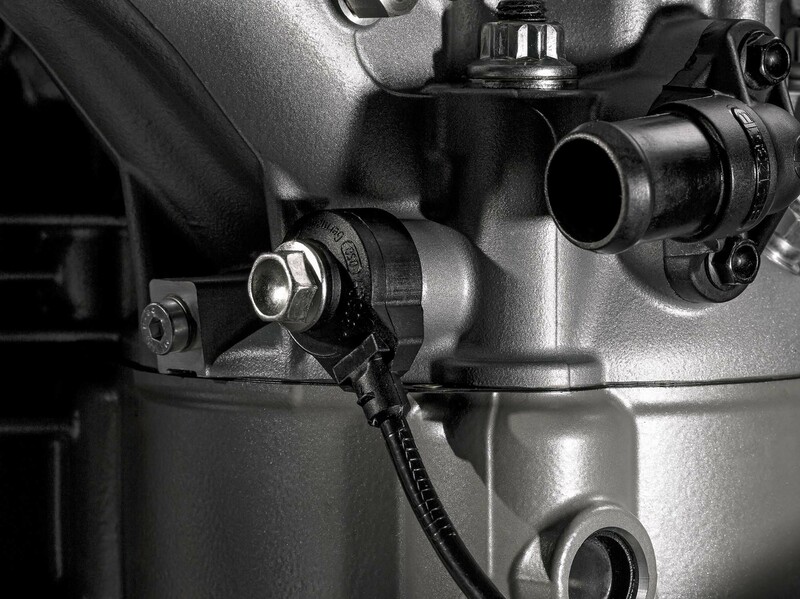 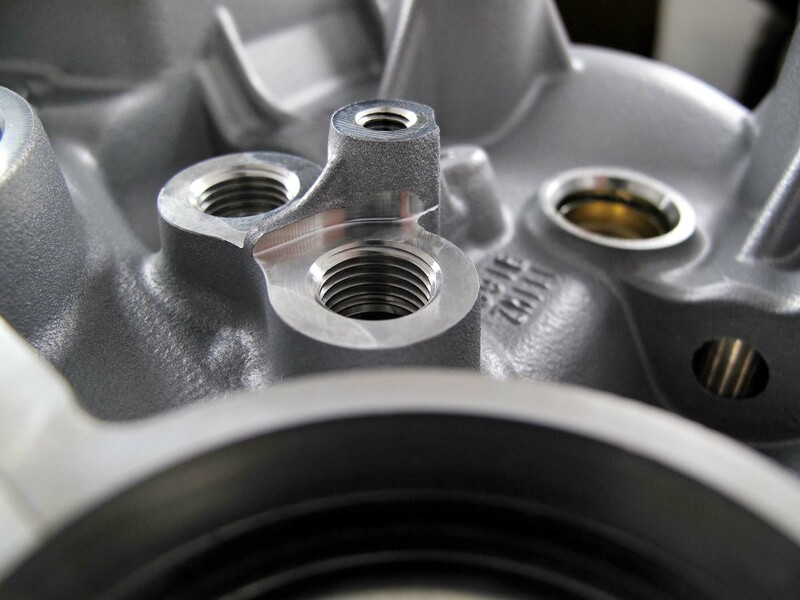 Other changes include Ducati targeting the fuel injectors to spray directly onto the rear of the hot intake valve, instead of the colder surface of the intake port wall. 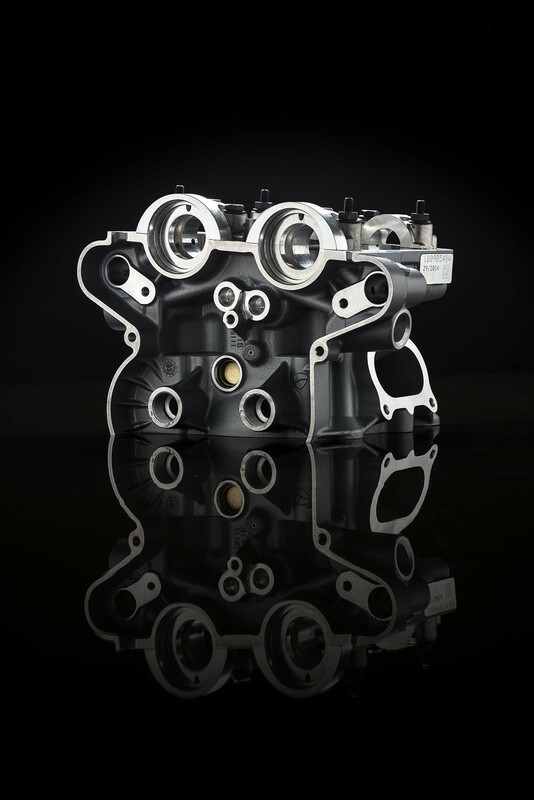 All this means that the 1,198cc v-twin now puts out 160hp and 100 lbs•ft of torque, all while reducing fuel consumption by 8%. 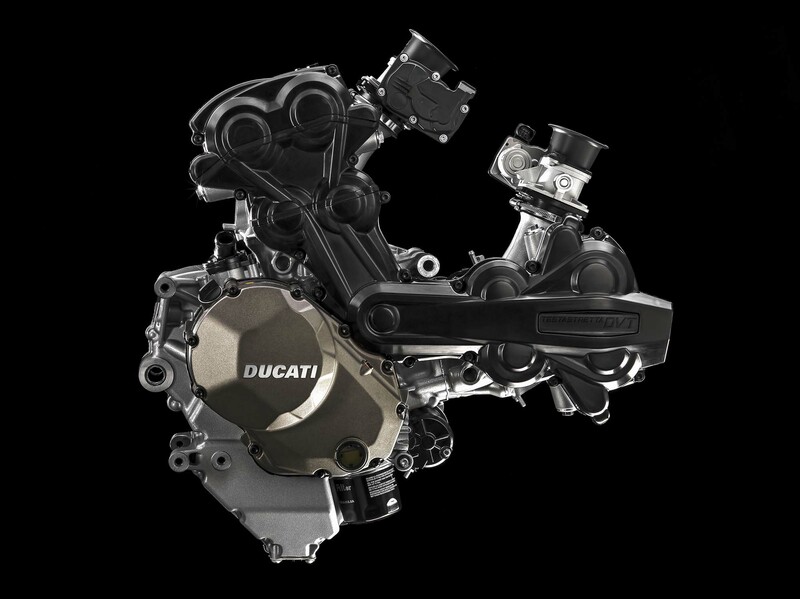 For anyone who has torn apart a Volkswagen or Audi engine with VVT installed, Ducati’s DVT system should look radically similar. 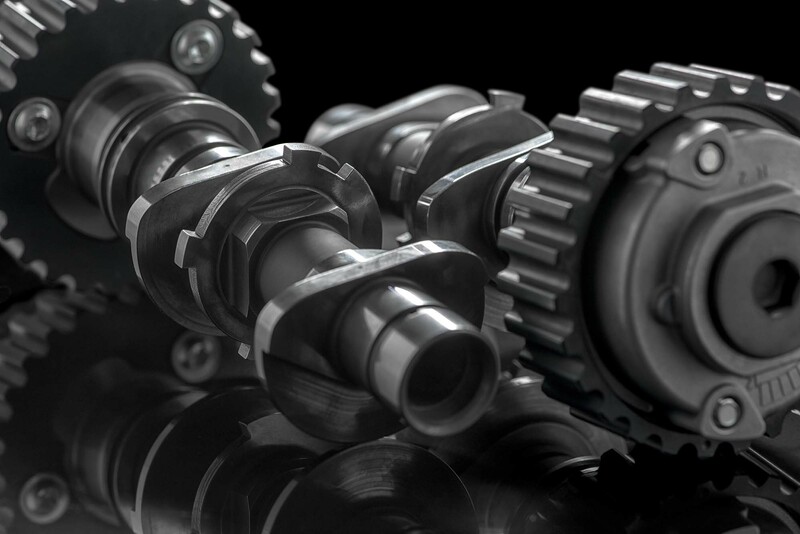 It would seem the benefits of having a German car manufacturer as Ducati’s new owner is starting to payoff.